I service virtually all major appliance brands with flat rate pricing. 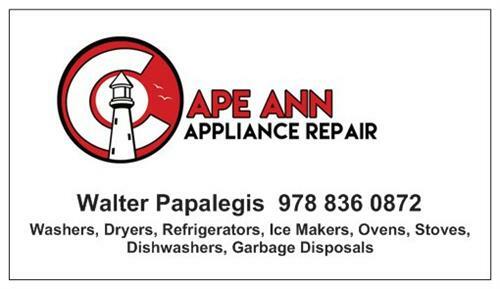 At Cape Ann Appliance Repair, I care about the same things that you do. Maintaining and repairing appliances are services that I know are important to our families, neighbors, and community. Reliability, integrity, and professionalism are part of the package. I understand that when having a service provided in your home, it is important to have confidence in and be comfortable with your technician. I strive to offer both, at a price you can afford.